This entry was posted on May 3, 2016 by Jessica Anderson. Spring means breaking out the clubs and hitting the course! If you are planning a tournament for your organization, country club, or work, below are our top awards for your event. In a range of price points, there's a golf trophy for every budget. 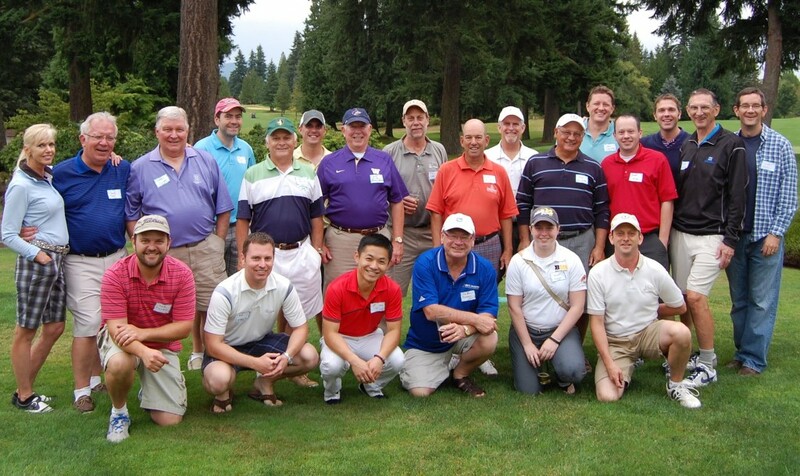 Tournament players at Fairwood Golf and Country Club. Can you find Jeff? 1. Crystal Museum Bowl: This award is deep etched with your club logo and champion around the edge. Beautiful to display, this elegant award will impress your winners. 2. Shinnecock Elite Crystal Golf Trophy: This crystal award features a golf ball above a silver tee. In three sizes, this makes a great 1st, 2nd, and 3rd place award. 3. Expressions Green Golf Vase: Vases are beautiful and functional gifts, especially for ladies golf tournaments. The green crystal bottom radiates through the vase. Most of our customers shop for golf trophies in this price range with many fun and creative awards available for your tournament! 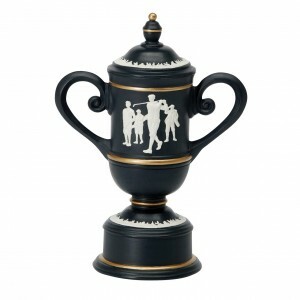 Our Cameo Golf Cup Trophy is one of the most popular golf trophies we sell. 1. Cameo Golf Cup: This cup is our best selling golf award. For both men and women, this resin cup includes an engraved plate attached to the bottom. 2. Monster Golf Perpetual Trophy: Another best seller, what is unique about this trophy is it can be passed around from year to year with winner's names engraved on the side. 3. Golf Cart Award Trophy: This trophy is a little different, which makes it fun to give at a tournament. Another best seller! Even groups with a small budget can get awesome awards for their tournament. 1. Burst Thru Golf Resin: This attractive award features a golfer bursting through the background. Available for both male and female golfers! 2. Golden Throne Golfing Resin Award: A hilarious toilet your loser will get a kick out of winning! This loser toilet is a winner for your highest scorer! 3. Duffer Trophies - Another joke trophy for both male and female players, our duffer trophy is a best seller. For those tournaments that don't take themselves too seriously! We offer dozens of other trophies for your event. Browse our Golf category now to see all of the choices! All of our golf award include engraving in the price. For ideas of what to etch onto your award and which award categories to offer at your tournament, see my past post Golf Tournament Trophies. Here's to spring and a well-played round!